By Katie Behrens. Dec 16, 2014. 9:00 AM. Despite plenty of naysayers and literary critics, the English-reading world consistently votes J.R.R. 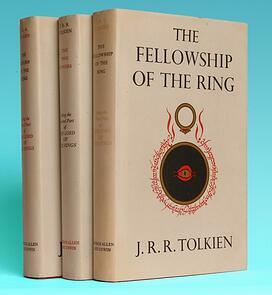 Tolkien’s The Lord of the Rings as one of the greatest books of the 20th Century. In 1997, a poll performed by the British bookseller Waterstones voted Tolkien’s epic fantasy as the overall winner – and that was four years before Peter Jackson’s movie adaptations hit the big screen! Our fascination with Middle Earth, the One Ring, and hobbits seems to have no end. Today, we salute Tolkien for his epic accomplishment: writing The Lord of the Rings. 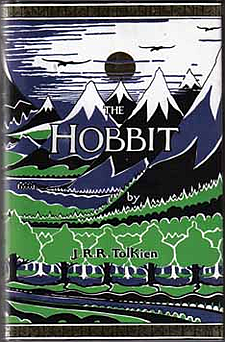 By the end of 1937, Tolkien’s children's book, The Hobbit, had become a definite success. His publisher at Allen & Unwin wrote to Tolkien asking for a sequel, but all that Tolkien had prepared were parts of what would become The Silmarillion and some unrelated short stories for children. Stanley Unwin politely rejected both, but pushed again for another book with hobbits. Unfortunately, the conclusion of The Hobbit made it clear that Bilbo’s adventures were done, and besides, Tolkien was ready to move on. Finally, in 1949, Tolkien’s manuscript was sent off to his publisher. He was a master craftsman, though, and never quite satisfied with his work. Even in final edits, Tolkien would make corrections within the confines of the typesetting. Due to some waffling about publication, The Fellowship of the Ring was not printed until July 1954, and The Two Towers followed in November. Tolkien missed his deadline for the third volume, reworking the material in the appendices, and readers had to wait until October 1955 to learn the fate of their beloved Middle Earth. From all of us to Tolkien: thank you for "letting" The Lord of the Rings be written. Cheers!